It’s still officially summer although the temperatures in Minnesota have been quite mild for August — in the 70’s. So, we’re still grilling (indoor and outdoors) and having “summer” food. 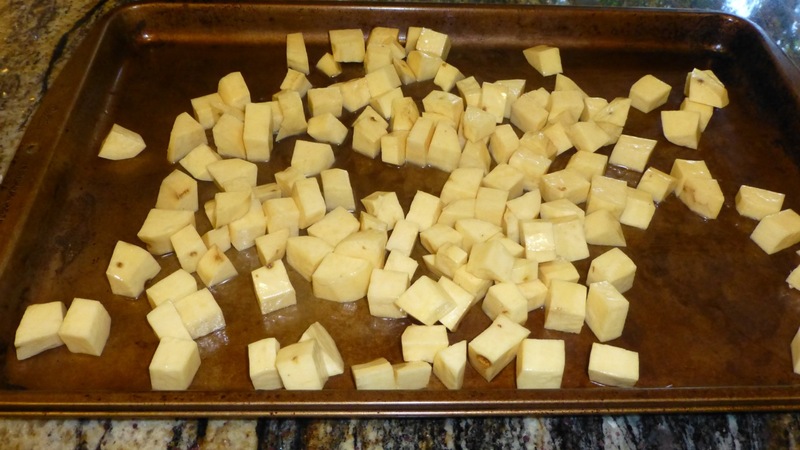 The hardest part of this recipe will be peeling and cutting up the potatoes into bite size pieces. So — let’s try it and see how it goes. It tasted very good for having so few ingredients. Coat diced sweet potatoes in coconut oil then place them on a baking sheet and bake for 15-25 minutes until soft. After you remove them, let them cool. 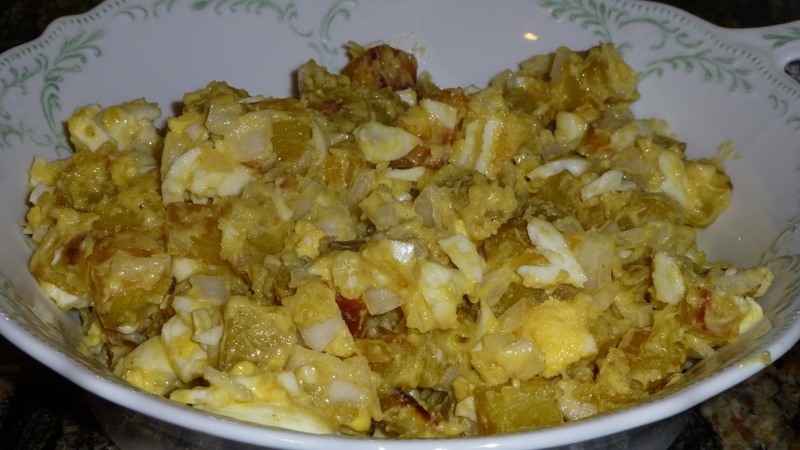 Place eggs in a saucepan filled with water and let them boil for 8-10 minutes. Let them also cool then peel and dice them. 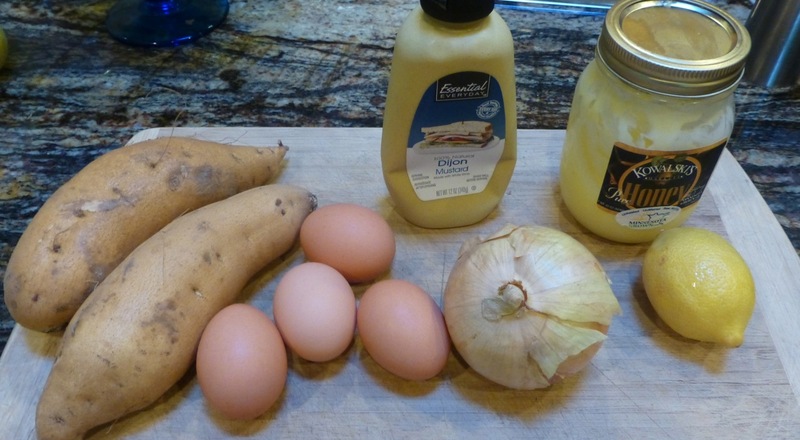 Mix cooled sweet potatoes, eggs, onion, lemon juice and mayonnaise in a bowl. Taste and sprinkle with salt and/or pepper if you wish. And — here’s the final product. 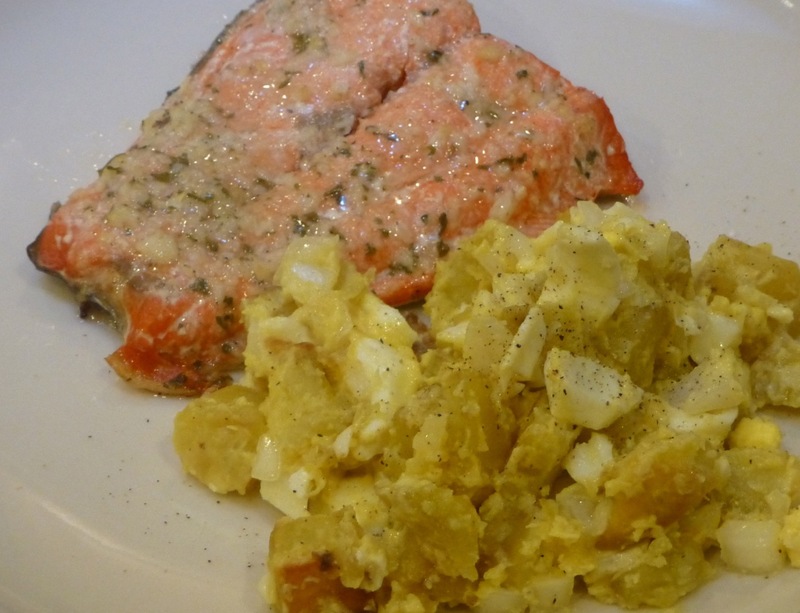 I served this with baked salmon and it was a perfect side for it.